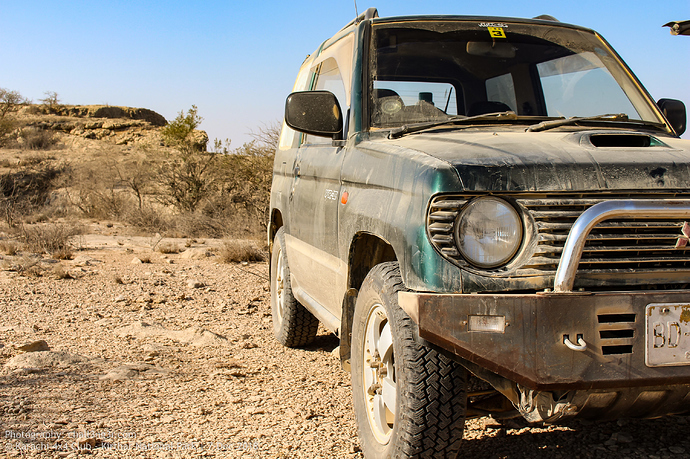 So I thought I start a new thread and post my first experience of owning a small 4x4 vehicle. 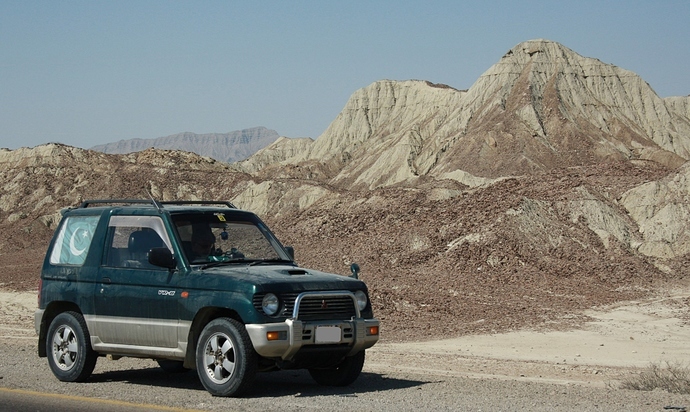 I bought Pajero Mini 1995, manual model about 2 months ago. 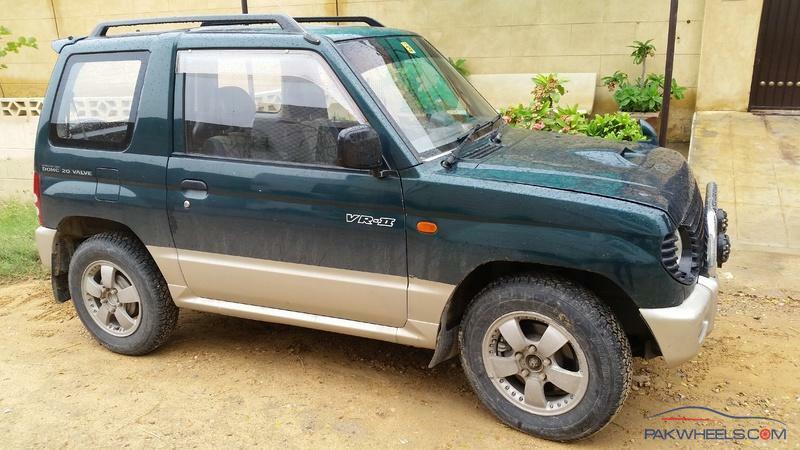 It was visually in good condition, no rust on chassis, engine is also good. But the gear box was leaking oil, and it was all drained out. 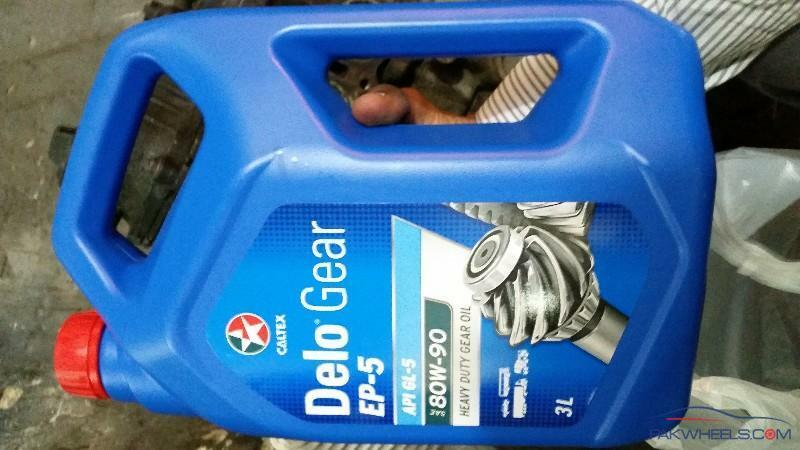 I put some open market gear oil in gear boxes, it was 50% gone in just few days. So far I've replaced it headlights which were not original with hi-roof 100w ones, and broken break lights were replaced with kabli ones (I bought the ones which had connectors intact), just disconnected old one and plugged the new ones. Many electrical and physical fixes have been done too, all with help of my elder and younger brothers. Bought tires from shershah and they are pretty good, almost like new. Mid 2016: Updated photo with new tires which are factory recommended size, 175/80R15. Oct / Nov-2017 - Trip to Gwadar. 8-Nov-2018 - At 2360ft height somewhere in Kirthar National Park. Removed spark plugs for service. 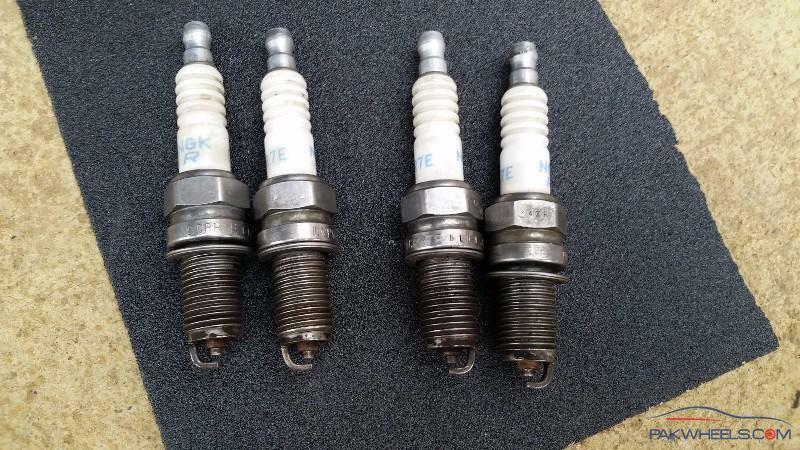 Spark plugs when removed from engine. Pretty bad condition. Cleaned up spark plugs. Washed with patrol to finish. Your car is running rich. Cleaning wont solve the problem. Plugs will turn black again after a couple of days. The perfect color is brownish like rust. @toxicdevil, thanks for the tip. Yes it's due for proper tuning. I just did this as I had some time and I also cleaned coils side which were leaking sparks to body. Now afrer clean up the pick is pretty good and there's no leaking of sparks to body from coil. I will get new set of spark plugs and go for full tuning as soon as Eid holidays are over. Reduce the gap of plugs to around 1mm. 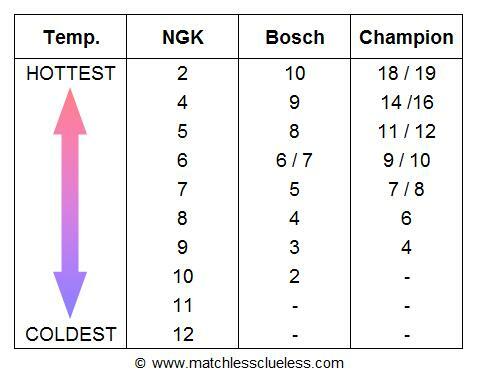 Check the temperature code of the spark plug (match it will service manual, perhaps it is also written on some sticker under the bonnet). 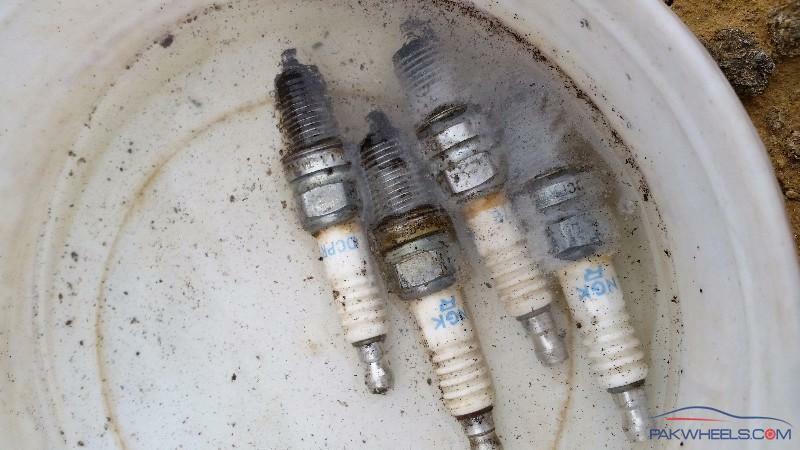 If the spark plug is too cold it easily gets carbon deposits. Hot plugs get cleaned on their own. 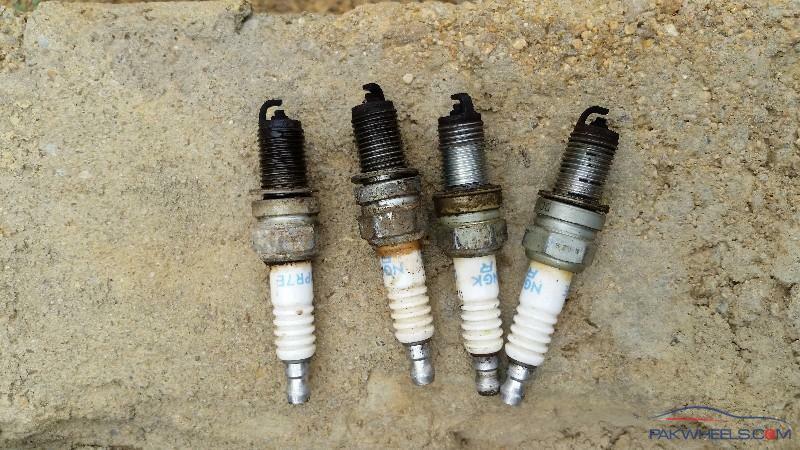 Weak spark, misfire and retarded timing is another reason for black plugs. Most common reason is rich fuel/air ratio. Meaning too much fuel (bad tuning for carburetor cars and maybe sensor problems in EFI cars) or too little air (due to dirty air filter etc). secondly you have git the right hands on approach which will be really good for both the car and your pocket. and last but not the least there was a thread on here by @arzaam.bhatti he had one of these and he did a lot of work which he has documented brilliantly in his thread. find that thread and go through it i will try and dig it out and post tge link here for you. Enjoy your ride and have fun with DIYs. This car taught me so much. thank you arzaam for the quick turn around i had seen that thread long ago even though its not complete it should be very helpful. i love the way you document your cars and adore the way you keep them.hope you having a nice time and eid mubarak to you. thanks and Eid mubarak to you too and all members. Thanks guys, highly appreciate your suggestions. 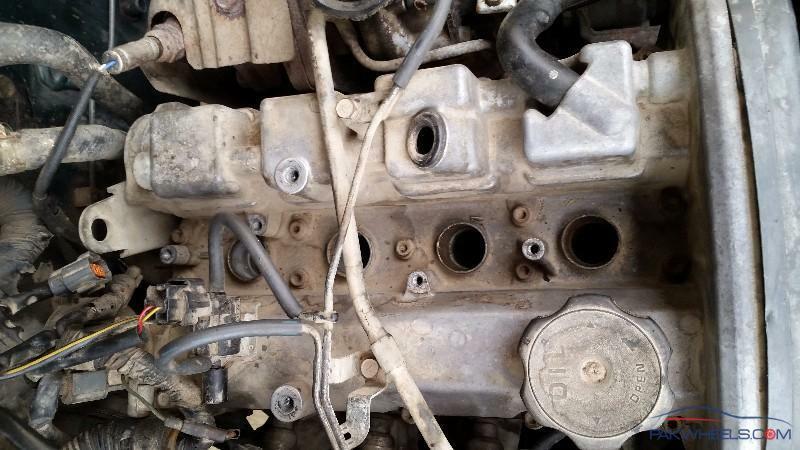 I will check the spark plugs' oem specs and see if the installed ones are of correct specs. With service, I removed springs from coils and gave them same acid wash treatment. Also the coils side, there was lot of rust in coil side. After service its a bit shinny and I did a test run of car, the acceleration is pretty decent, there's feel of power as compared to previous running. Also turbo sound is now quite noticeable. Currently I am trying to find oxygen sensor and any other sensors which can be serviced at home. 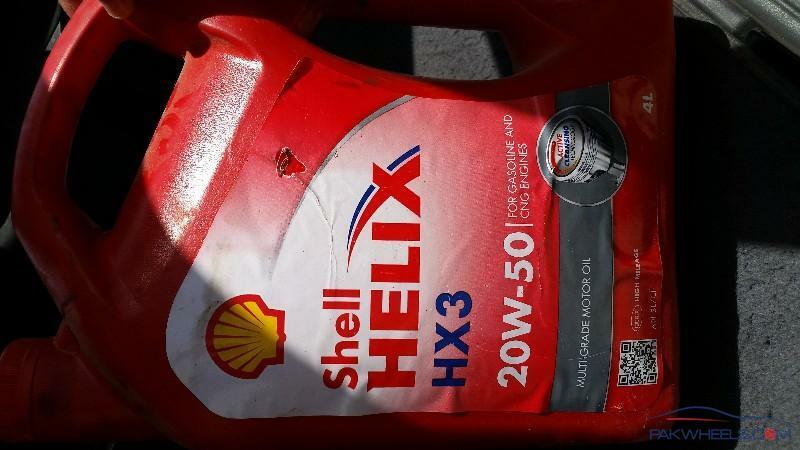 Gear oil used after getting oil leak issue fixed. Can anyone help identify oxygen sensor? There's something underneath throttle intake pipe, but nit sure what it is. Its got connector but seems hard to reach to open it. I already went through that thread and learned that if he can do it, I can do it myself. Now gonna do most of the fixes myself. Thanks, I will check it and see if really O2 sensor and needs service. 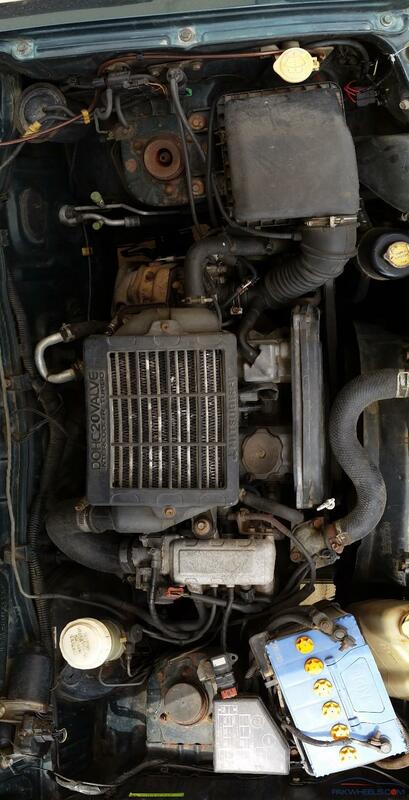 I think this engine doesn't have Mass Air Flow sensor? I searched and videos for other cars not this one. MAF sensor also seem to impact air fule mixing.